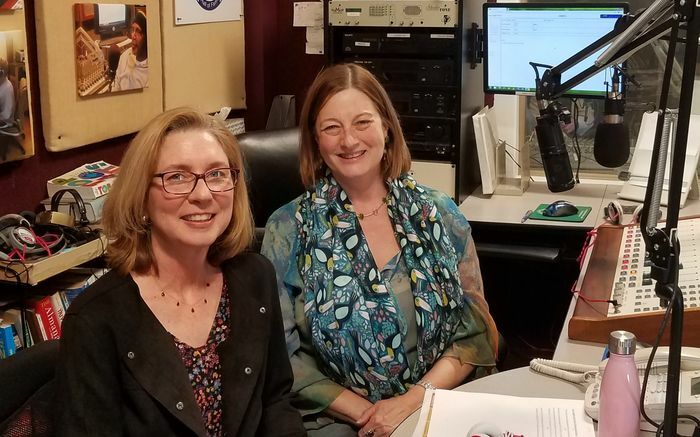 Hit the play button below, turn on your speakers, and listen to Executive Director Laurie Pavlos's recent interview with Virginia Wolf on WLIS/WMRD. Elsbeth Dowd Joins the Team! The Lyme Art Association is thrilled to announce that Elsbeth Dowd has joined our team as Development Manager. Elsbeth was most recently the Executive Director of the Oysterponds Historical Society in Orient, NY, where she completed successful and significant grant applications, oversaw major fundraisers, increased membership, and improved community engagement through enhanced communications. She has wasted no time in enhancing OUR communications, starting with social media. She is working with Laurie to help our broader community become more familiar with our organization and mission and to continue to build relationships with community partners, sponsors, members and donors. Elsbeth lives in Niantic with her husband and two small children. After commuting to the North Fork of Long Island by ferry for a number of years, she will now be enjoying a much shorter commute! Stop by some time between 10 am and 2 pm and introduce yourself – she looks forward to meeting our wonderful members and supporters. LAA has a new Executive Director! On behalf of the Board of Directors, I am pleased to announce the promotion of Laurie Pavlos to the position of Executive Director. 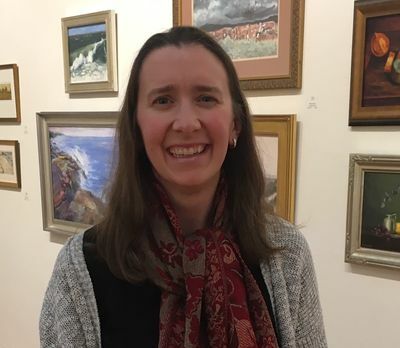 Laurie joined the Lyme Art Association staff in 2010 and brings to her new position a strong record of experience and enthusiastic support for the LAA mission and values. Laurie will lead the Executive Team joined by Gallery Manager Jocelyn Zallinger and Development Director Gary Parrington. At the end of this year, Gary will retire after five years with LAA. Gary played a key role in the successful conclusion of our first major capital campaign and has positioned us well to develop the resources needed for the Association to continue to thrive. Soon, we will initiate a search for a Development Manager to strengthen membership outreach and expand a culture of philanthropy in support of the Association. These are the staff changes you will see over the next several months. What will not change is who we are. LAA remains committed to the presentation of high-quality art shows and special events that artists, members, patrons, and the community have come to expect of us. We will continue to offer a robust schedule of art classes and workshops that nurture burgeoning art talent and that challenge the most experienced artists. The 2018 Annual Meeting of the LAA Membership will take place at the gallery on Wednesday, October 10, 2018, at 5:30 pm. Light refreshments will be served at 5:30, before the meeting begins. Hollis Dunlap shares his method of making painting panels. Click here! We love to post news about our members’ awards and publications here and in our newsletter. If you are a member and have received an award for your artwork, please send the news to Laurie at laurie@lymeartassociation.org. Include an image if you can!